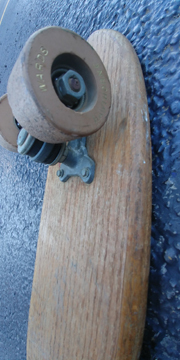 I am in love with skateboarding, Where it has been and where it is going. 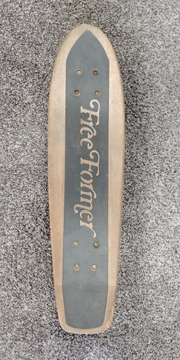 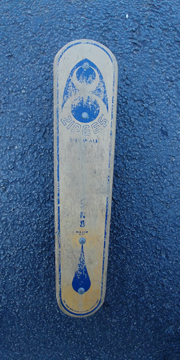 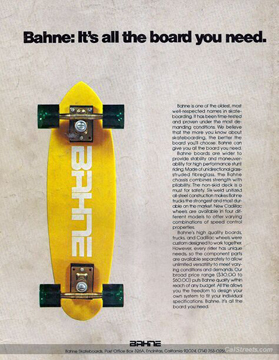 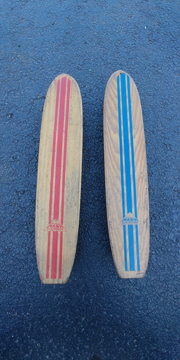 If you love the cover shots on old '70s SURFER Magazines you will want this skateboard. 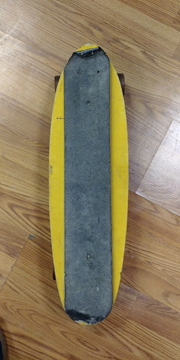 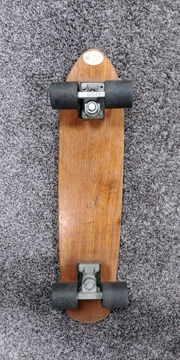 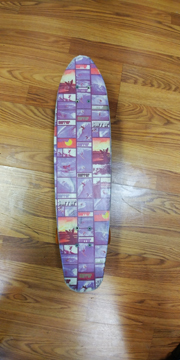 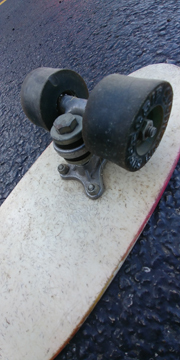 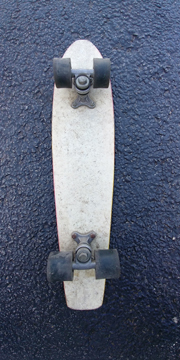 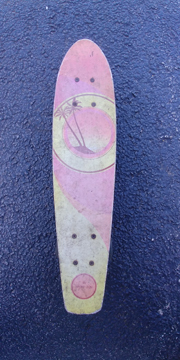 A 24" fibreglass deck showing classic surf pics, with original Continental trucks and as new Continental Slicks fitted. 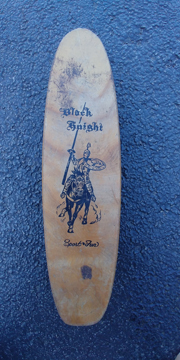 Skitch Hitchcock World's Champion Fiberglass SkateboardFiberglass deck with typical 60s trucks and some VERY early urethane wheels on there. 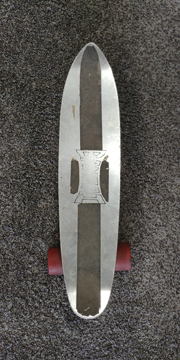 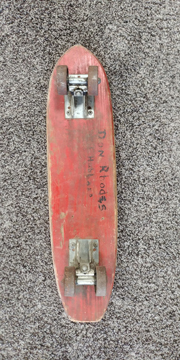 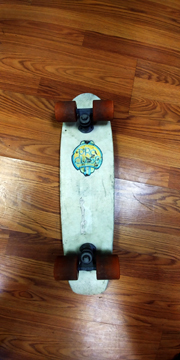 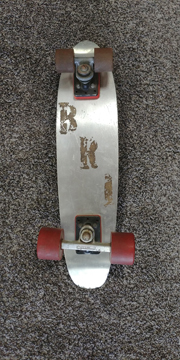 Size is 6" x 24"
Fiberglass Deck 24" x 5.5"
Plywood deck with red clay wheels and great graphics. 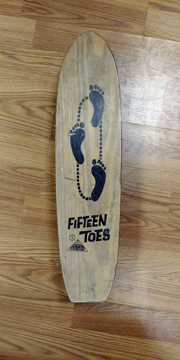 Nash Fifteen Toes Black from the 1960s. 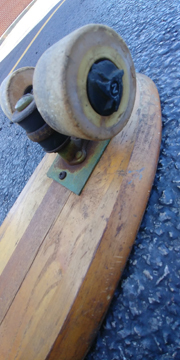 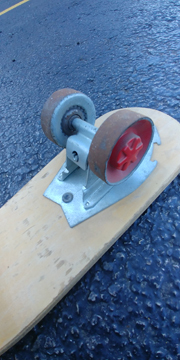 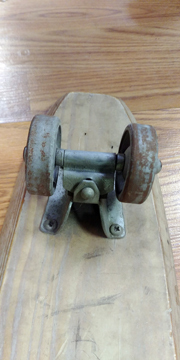 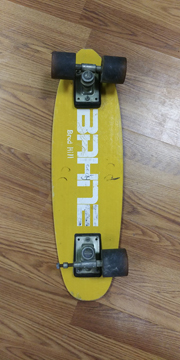 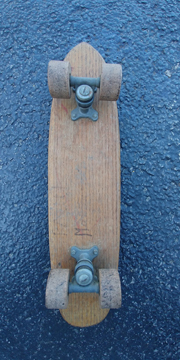 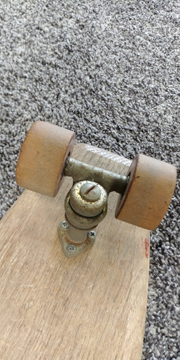 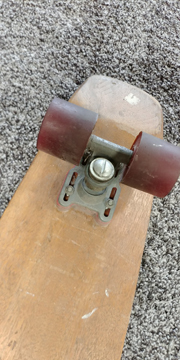 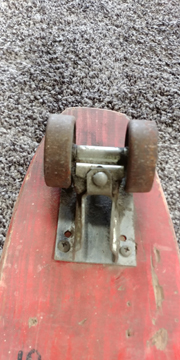 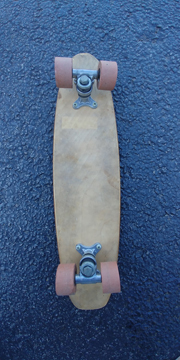 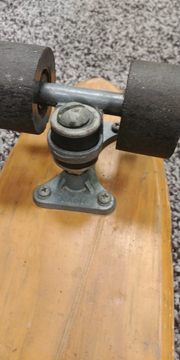 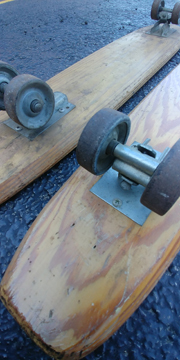 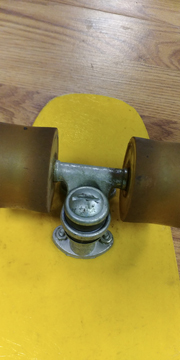 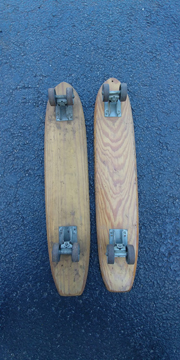 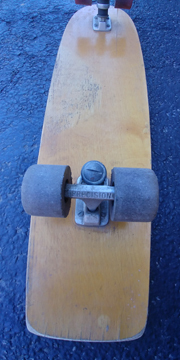 Features a 22" timber deck with early metal wheels and trucks. 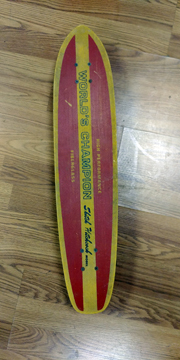 This is a late '60s thru to early '70s Nash Hot Foot with nice red racing stripes on the deck and a partial sticker on the bottom. 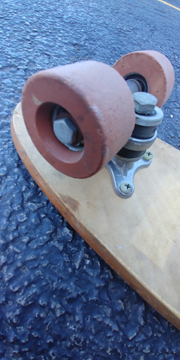 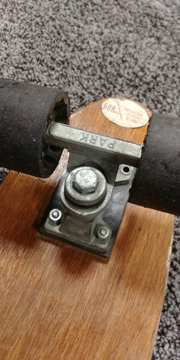 Manufactured in Texas by Nash Manufacturing Inc it features the original trucks and correct hard black clay type wheels. 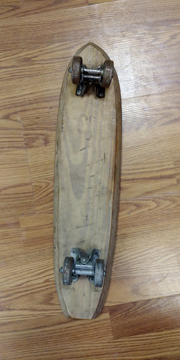 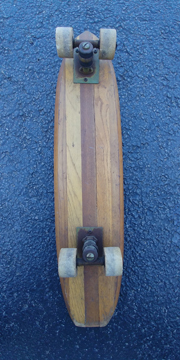 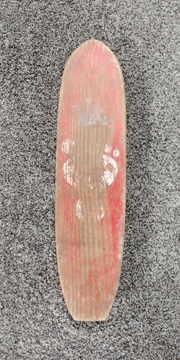 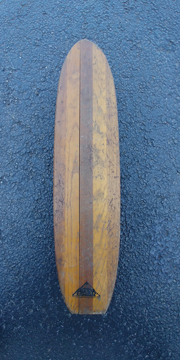 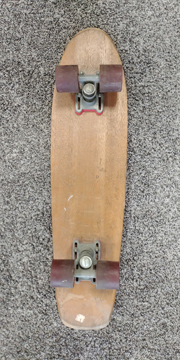 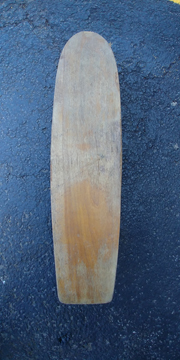 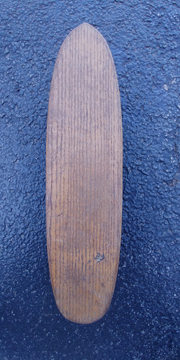 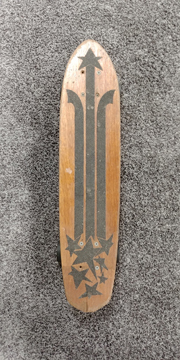 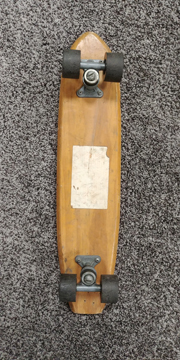 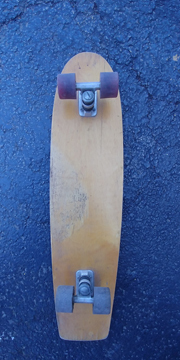 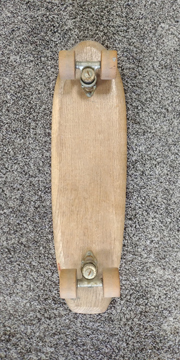 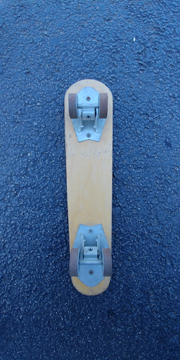 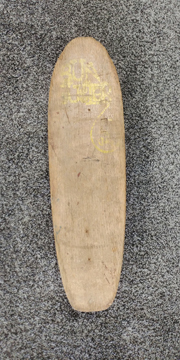 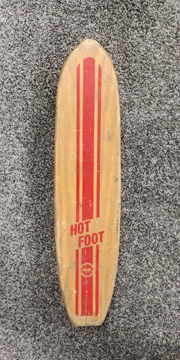 A cool little plywood skateboard made in the early '60s by the Manning Mfg. 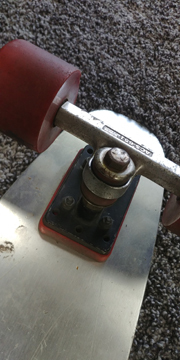 Corp. Chicago. 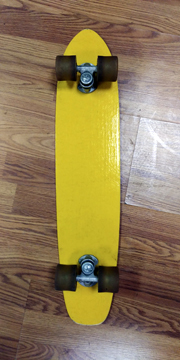 Deck size 24" X 5.5"